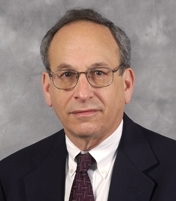 Donald Lewis Kohn (born November 7, 1942) is an American economist who served as the former Vice Chairman of the Board of Governors of the Federal Reserve System. He is considered a moderate dove on monetary policy. He retired after 40 years at the central bank in September, 2010 and currently serves on the Financial Policy Committee for the Bank of England and as a Senior Fellow at the Brookings Institution. Kohn was born to Jewish family in Philadelphia and raised in Elkins Park, Pennsylvania. He received a B.A. in economics in 1964 from The College of Wooster and a Ph.D. in economics in 1971 from the University of Michigan. Kohn and his wife, Gail, have two children, Laura Kohn and Jeffrey Kohn. Kohn is a veteran of the Federal Reserve System. Before becoming a member of the Board, he served on its staff as Adviser to the Board for Monetary Policy (2001–02), Secretary of the Federal Open Market Committee (1987–2002), Director of the Division of Monetary Affairs (1987–2001), and Deputy Staff Director for Monetary and Financial Policy (1983–87). He also held several positions in the Board's Division of Research and Statistics—Associate Director (1981–83), Chief of Capital Markets (1978–81), and Economist (1975–78). Dr. Kohn began his career as a Financial Economist at the Federal Reserve Bank of Kansas City (1970–75). Kohn took office as a member of the Board of Governors of the Federal Reserve on August 5, 2002 for a full term ending January 31, 2016. On May 18, 2006, the White House announced that Kohn had been nominated by President George W. Bush to replace Roger W. Ferguson, Jr. as the new vice chairman of the Federal Reserve System for a four-year term. The United States Senate approved his nomination, and Kohn began serving his four-year term as Vice Chairman of the Board of Governors of the Federal Reserve System on June 23, 2006. He was appointed to the Bank of England's Interim Financial Policy Committee on 17 February 2011. Don is the Senior Economic Strategist at the Potomac Research Group, consulting on the U.S. economy. Kohn has written extensively on issues related to monetary policy and its implementation by the Federal Reserve. These works were published in volumes issued by various organizations, including the Federal Reserve System, the Bank of England, the Reserve Bank of Australia, the Bank of Japan, the Bank of Korea, the National Bureau of Economic Research, and the Brookings Institution. He was awarded the Distinguished Achievement Award from The Money Marketeers of New York University (2002), the Distinguished Alumni Award from the College of Wooster (1998), and the Honorary Degree, Doctor of Laws, from the College of Wooster (2006). Adapted from public domain biography at the Federal Reserve website.